Strapping on a mask and snorkel and slipping into the ocean on Ningaloo Reef is like passing through a portal into another world. “The feeling of weightlessness and experiencing the incredible richness of sea life feels like a different dimension,” says Mark Ferguson, owner, with his wife, Debbie, of Exmouth Dive & Whalesharks Ningaloo. With over 20 years professional experience, Mark has some tips to get the most from a snorkelling adventure. First, he says, you have to be comfortable in the water – both physically and mentally. Invest in a good quality snorkel and a silicone mask: if it leaks or fogs, or you’re gulping mouthfuls of seawater, it’s not just annoying, you won’t see anything. Make sure your fins suit your body size and leg strength to avoid getting cramps, and wear some body protection such as a lycra suit or wetsuit. Also on the shopping list, waterproof animal identification books help you put names to fish faces once you’re back on the boat. And don’t forget a waterproof camera! Some form of buoyancy device – a vest or even a pool noodle or boogey board – is useful to rest on if you’re going to be out of your depth. If you’re a novice, practice in a pool before you leave home, watch YouTube videos or take a snorkelling course with your local dive shop. And when you get to your destination, practice in the ocean close to shore, working up to deeper water: not all the cool stuff is close to the beach and if you’re going to be swimming with Whale Sharks or whales, you’re essentially in open ocean. Likewise, you can’t see everything from the surface, so learn to duck dive (bend from the waist and lift your legs to tip your balance) and to roll on your back and kick quickly – it’s a useful technique to get out of the way of an on-coming Whale Shark while maintaining eye contact with it. Slip into the water as quietly as possible, and avoid splashing about or making noise. But if you stay still, the fish will often come to you: a cloud of tiny reef fish could surround you or a curious Manta Ray might come to check you out. 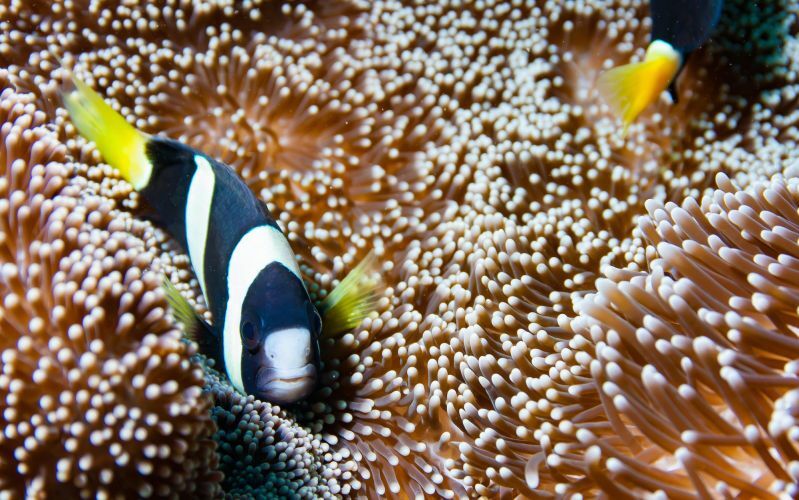 On the reef, fish and other marine life tend to congregate around large features such as coral bommies. Look under ledges for lurking grouper and Coral trout and keep a keen eye out for the reef’s camouflage masters like octopus, nudibranchs and bizarre crustaceans. If you look carefully, you’ll find cleaning stations where all manner of fish come to have parasites removed from their bodies by helpful cleaner wrasse. The bigger fish float motionless while the wrasse perform their services, so it’s an easy way to get an up-close look. “Don’t forget to stop and look at the bigger picture,” says Mark. “There’s so much to see and you get an insight into the whole ocean ecosystem. 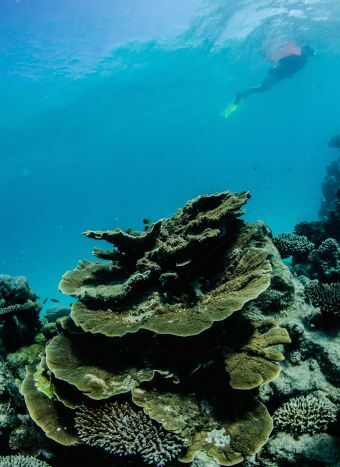 What snorkelling tours are available at Ningaloo? 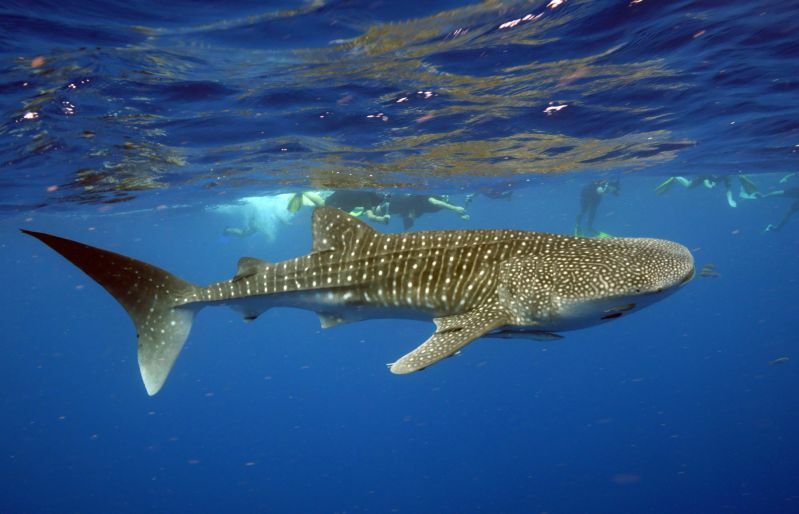 You can experience all the amazing marine life at Ningaloo with the following tours from Exmouth Dive and Whalesharks Ningaloo!